BREAKING: Donald Trump just announced that he will reveal his pick for the U.S. Supreme Court live on TV on Tuesday evening. 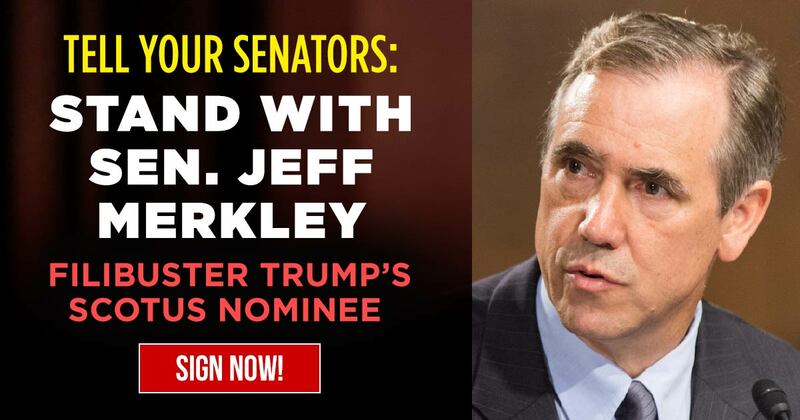 It's time to mobilize to stop this inevitably awful nominee -- and one Senate Democrat is already pledging to do just that -- Oregon Senator Jeff Merkley told Politico that he will do everything he can to stop Trump's Supreme Court nominee. This is good news. But we need all 48 Senate Democrats to commit to doing whatever it takes to stop Trump's Supreme Court nominee. And we need to tell them that right now.